Enough is enough. Paris, Sharm El-Sheikh, Istanbul, Jakarta. Isis is the global crucible of terrorism and must be stopped using all means available. After the Paris attacks last November, the US and its allies stepped up the bombing of Isis targets in Syria. Unquestionably, the campaign has had some effect and Isis is not the unstoppable force it seemed to be a year ago. Ramadi was taken by Iraqi forces a few weeks ago, and reports are filtering through of disillusionment and desertion amongst the caliphate’s fighters in Syria. That’s why some experts, such as General John Allen, Obama’s former special envoy to Syria, are calling for the West to finish off the job by deploying its own troops on the ground. After all, no one seriously believes that the war against Isis can be won from the air alone or by using existing local forces. But a judicious and limited use of Western ground forces could crush Isis in its vital nerve centres, after which local troops trained up by the West would take over security, and a political and diplomatic process to find a long-term solution for the region would begin in earnest. But to others such as Ken Livingstone, who took on Gen. Allen in this debate, such a move would be to fall into a trap. Isis wants to entangle the West in another war that will boost its drive to recruit jihadists across the Muslim world. And even if Isis were defeated, no doubt something just as bad would take its place. As many as 15 Syrian-based Islamist groups are reportedly standing ready to fill the vacuum and would happily absorb what’s left of the die-hard Isis jihadis. Let’s also not forget the dangers of mission creep, which embroiled the West in years of conflict and ‘nation-building’ in Afghanistan and Iraq. Of course, there are no easy or obvious solutions to this complex crisis, but there are better ways to deal with Isis than sending in the troops – such as starving it of its funding from oil and illicit goods. As for terror attacks, we should keep things in proportion. Whatever the scaremongers say, Isis is not an existential threat to the West. Intelligence and vigilance, not military adventurism, are the key to our security. Will deploying Western ground troops diminish the pernicious threat of Isis? Or play into the organisation’s hands by encouraging more jihadis to sign up to its violent creed? Speaking for the motion in this Intelligence Squared debate from February 2016 were President Obama’s former special envoy for the global coalition to fight Isis General John Allen, and Associate Director at The Henry Jackson Society Douglas Murray. 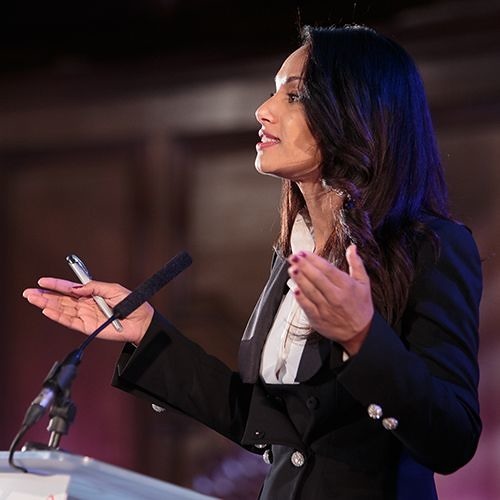 Speaking against the motion were Foreign policy analyst for MSNBC, journalist, and author Rula Jebreal and former Mayor of London and current co-convenor of Labour’s foreign policy review Ken Livingstone. The debate was chaired by BBC World News presenter Nik Gowing.